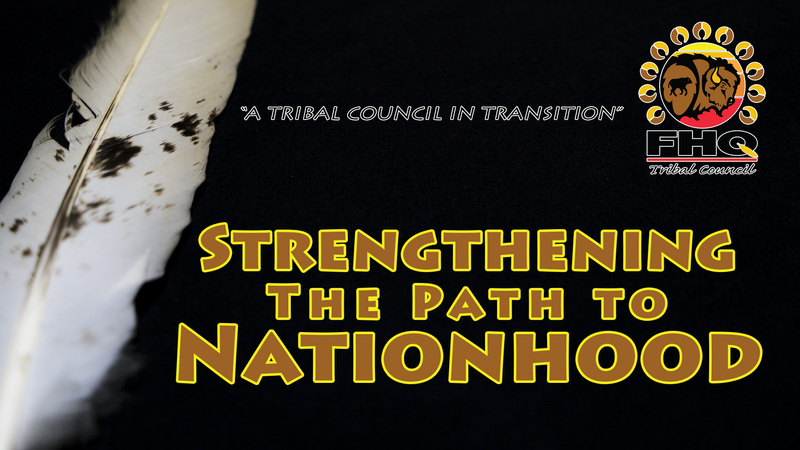 As we continue along our path of governance transition and recognizing that it cannot be rushed, the 11 Chiefs voted unanimously to continue with the transition process with a renewed emphasis on strengthening our Nations governance on the foundations of our culture and language. The process underway is meant to enhance the Member First Nations’ autonomy and self-determination, as FHQTC is not a rights holder. Youth and Citizen Engagement: our youth are important and should be a focus going forward, as they are our future and the reason we are strengthening our Nations. There is also a need for more involvement of all our people, both on- and off-reserve. FHQTC exists for the best interests of our grassroots citizens and we need our grassroots citizens involved if we are to succeed moving forward. With the renewed mandate, the transition process continues to progress. The need to change and evolve with the current and future climate of Indigenous governance is as fundamental as our need was to adapt to a changing way of life. Our young people, leaders, elders, knowledge keepers and communities are becoming ever more aware of how we need to respond, implement and enforce our Inherent and Treaty rights in our ever changing world of social media and urbanization. These though are not just challenges to our rights, but also opportunities we can use. We must continue to build upon and advocate on behalf of our rights and responsibilities as Indigenous Nations. As a Tribal Council we recognize the need for advocacy on many levels and all fronts. We cannot merely advocate to federal and provincial governments. We must also evolve to include more of our citizens, who are the true benefactors of our rights; we must also act upon our rights to strengthen and build Indigenous governance. This transition towards inclusion of citizens, culture and language, and spiritual institutions into our Indigenous governance structures will exponentially empower us to pursue our Inherent & Treaty rights and interests, engage our communities better, and strengthen our capacity on the road to full implementation & enforcement of our Inherent & Treaty rights. Greater and more effective self-determination by our member First Nations. Greater control of factors that govern our standards of living, leading to an improved quality of life for our citizens. Stronger and more inclusive governance structures. Greater cultural influence on our governance structures. More effective advocacy and lobbying regarding our Inherent & Treaty Rights. Our efforts to nation build will see a creation of two entities; the traditional entity will focus on the political advocacy (Inherent & Treaty rights and interests protection) and the contemporary entity will focus on the business (programs and service delivery). This will result in a far greater integration of culture within our governance structure. It will be a framework based on Nationhood principles of Sovereignty, Capable Institutions, Culture, Strategic Decisions, and Leadership. Treaty rights are agreements that were a direct result of the making of Treaties between the Crown and Indigenous peoples. These relationship parameters define certain rights and responsibilities that were mutually agreed to by each party Nation. It is important to understand that Treaty Rights do not define our identities as citizens of an Indigenous Nation, nor do they define our Nations, or Nationhood. Though every Treaty is different, the historical Treaties were made between Nations, as international bodies. As Nations who carry Treaty, it is our duty to enforce the rights and responsibilities set out in Treaty, this is part of the objective of the FHQTC transition. These statements do not fully encapsulate our oral understandings of Treaty, nor are they able to comprehend the full breath of the Spirit & Intent behind the Treaties, and Treaty making processes. Our Treaties are International matters and need to be recognized as such. Inherent Rights are rights that were/are bestowed upon us by Creator that instruct us how to live. We abide by Natural Laws; and from these Natural Laws come our relationship with the land and all creation, our language, culture, traditional practices, foods, identities, and that, which governs our daily lives as Indigenous peoples, and Nations. Inherent rights are the rights we are born with, the rights that define us as a distinct people, rooted in the land. Since time immemorial we have practiced our ways of knowing and being, governed by the Natural Laws of the lands we come from. It is these ways that are our inherent right, such as our inherent right to hunt, our inherent right to self-governance, and so on. There is no one set list of Inherent Rights, and some differ as per Nation and customs. Inherent Rights are often passed on through oral traditions such as creation stories, ceremonies, songs, specific prayers, and so on. It is up to each Nation to determine what those rights are. What are our Inherent Rights? What are our Treaty Rights? Treaty rights are agreements that were a direct result of the making of Treaties between the Crown and Indigenous peoples. Indigenous peoples, as a specific form of exercising their right to self-determination, have the right to autonomy or self-government in matters relating to their internal and local affairs, … as well as ways and means for financing these autonomous functions.